The state of Michigan has issued a wetlands permit for a Canadian company’s plans to mine gold, zinc and other metals near the Michigan-Wisconsin border. The permit marks the final of several needed for the project to move forward. Toronto-based Aquila Resources wants to build an open pit mine near the banks of the Menominee River in Stephenson, Michigan. Michigan Department of Environmental Quality spokesman Scott Dean said the agency issued a permit that was developed after the U.S. Environmental Protection Agency raised several objections in March to the wetlands permit needed for the project. Dean said the agency was able to issue a permit that addressed those issues with several conditions, including a site-specific water budgeting model, collection of baseline groundwater and wetland data and annual monitoring. "Of course, they also have to include state-of-the-art controls aimed at spill prevention and response to any potential pollution releases from the mining operations, including things like chemicals used and stored on the site and the storage and disposal of waste rock from the mining process," said Dean. The permit for the Back Forty mine also requires Aquila to develop a plan to close the mine in a way that prevents any negative impacts to surface and groundwater. In a statement, Aquila Chief Operating Officer Mike Welch said the permit strengthened environmental protections. "We commend the work of everyone involved with this process. Community members, local leaders, state and federal regulators have all left their mark on this wetlands permit. This is a very significant milestone and we believe this collective effort has resulted in a robust environmental permitting process that allows us to move forward and build a world class mining operation," wrote Welch. Menominee Tribal Chairman Doug Cox said he’s disappointed, but not surprised with the agency’s decision. Cox said the tribe has raised concerns about impacts to their cultural traditions, archeological sites and more. He planned to review whether the permit addressed those concerns. "If those things haven’t gotten attention, certainly our next step in Michigan’s process is administrative appeal ... We’ll explore our options with this one, and we’ll take appropriate action if we see fit," said Cox. However, he noted the tribe's opposition to the project remains the same. 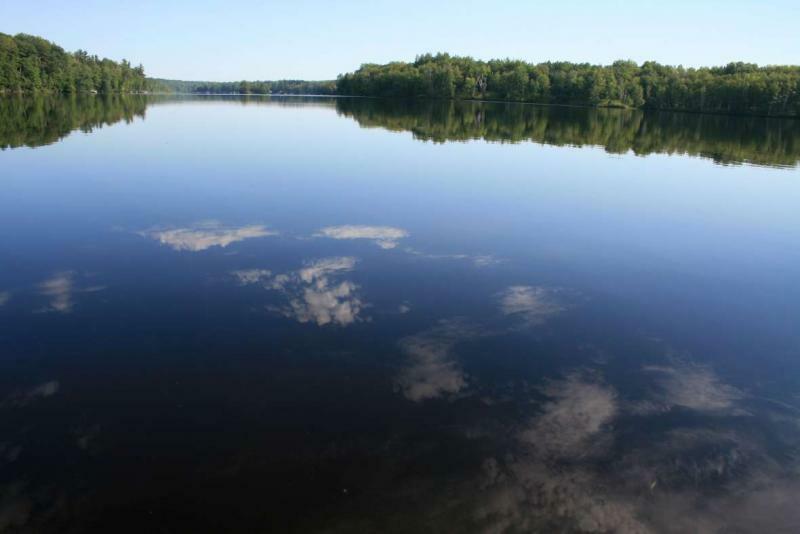 "We are not in favor of an open pit mine on the bank of the Menominee River where (our) traditions, culture and history is embedded," he said. Aquila plans to move forward with the next phase of the Back Forty project, which includes completing a feasibility study and talking with financial partners. A contested case hearing for a challenge to the mine permit will be held Tuesday in Lansing, Michigan.